Etsy has quickly become the eBay for artistic makers. 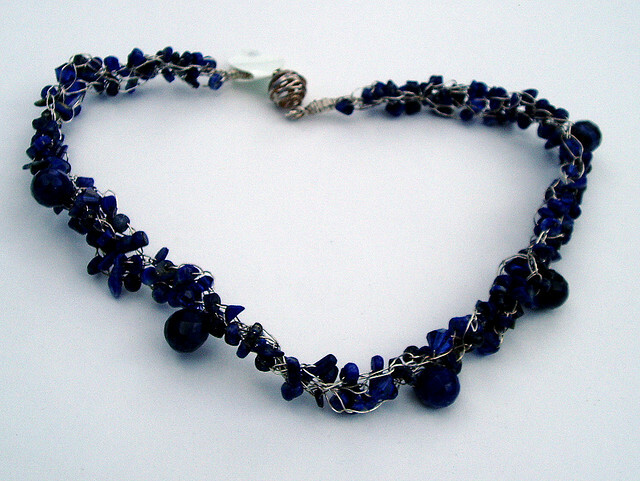 The company calls itself “the world’s handmade marketplace”, and that’s exactly what it is. Sales on the site up until November 2011 reached $467.8 million. That makes the site a massive opportunity to start your own business with things you make yourself. With all of the talk lately about what a Twitter follower is worth, I’m sure that Etsy shop owners would love to know the value of their budding online business. 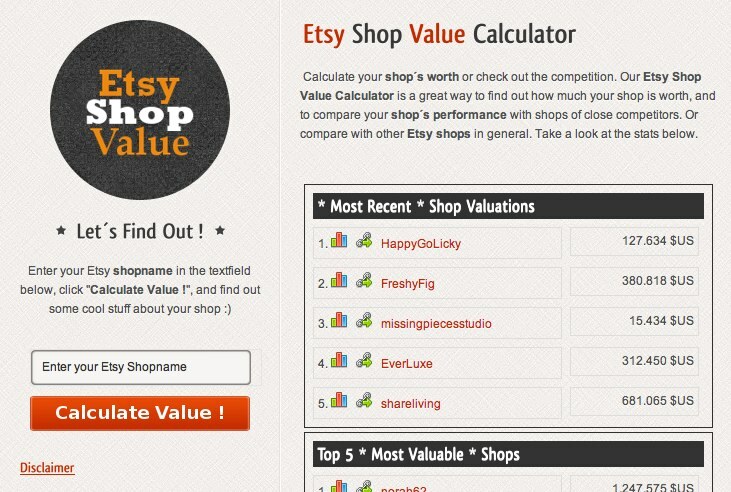 This app, called the “Etsy Shop Value Calculator” has created a rudimentary algorithm that takes all of the known information about your Etsy shop into account and spits out a dollar value. While it’s not meant to be an official of your store, it’s something that could give you an idea of where you stand against some of your competition. By using Etsy’s publicly available API, the site calculates the value of your store based on factors that include your sales, sales to views ratio, favorites of your items, and value of your current inventory. The app was created by Etsy seller Yenbo, so you know it was built with knowledge of the community and platform. 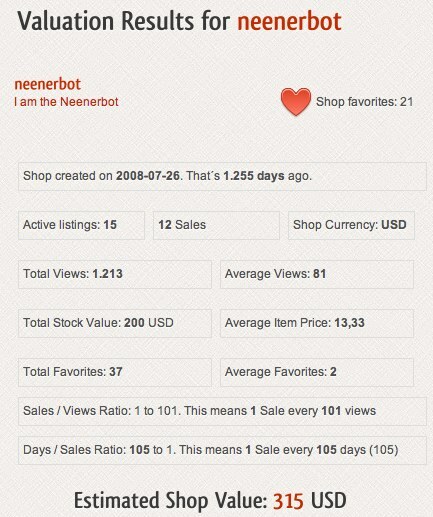 By simply entering your Etsy username, your value is calculated and your store stats are shown. While the curiosity about how much your shop is worth will probably lead you to using the app, all of the stats are surely helpful as you’re trying to become a top seller. The site is also a fun way to discover new Etsy sellers, as it ranks the top valuable shops, as well as the ones with the most sales. You can click through directly to the store and start buying. Etsy makes it simple to start selling the things you make by hand, and this app can give you the insight into what others are doing and how to spark more sales in your own store. While the value it generates might seem arbitrary, it’s definitely a good place to start.